Have you been toying with the idea of installing a fence in your backyard, but you aren’t sure where to start looking, who to hire, or how much it costs, we’ve compiled a list of answers to some of your most popular questions. That’s difficult to answer with any accuracy. It’s like asking “how much does it cost to build a house?” There are too many variables involved to give a close approximation. The best way to answer that is to get a quote. You will be asked for the length of fence you’ll need to cover your yard as well as the fencing material, style, and height that you want. For more accurate information, we suggest contacting us for a free quote. How Durable is PVC Vinyl? PVC vinyl fencing is built to last a lifetime. Unlike wood material, PVC fencing is completely protected against powerful UV rays. Will My Fence Survive Saskatchewan’s Winter? Yes. Oasis Vinyl™ PVC Fences are some of the strongest fences on the market. Vinyl fences are enforced with galvanized steel posts, aluminum rail inserts, post levelling collars, and top ties. If installed properly, your vinyl fence and withstand whatever storm Saskatoon can throw at it. How Do I Prepare My Backyard for Installation? Before you order your fencing panels and start designing your backyard paradise, we strongly suggest marking your property line (more on this in a later post). Call your utility company to mark underground lines and pipes before you start digging. Remove obstacles from the fence line, such as stumps, boulders, etc. Stake your posts to help you visualize where the panels will go. Is Fence Installation too Difficult to DIY? The more experience you have, the better off you’ll be. That’s not to say that someone without any building, landscaping, or constructing experience can’t install a fence (and we have instructional videos to help out with that), but it certainly gives you the confidence do to the job properly. Before deciding to install your own fence, do your research. You might choose in the end that you’d be more comfortable hiring an expert. You have a healthy list of style options available. iI you want a fence that’s both stylish and durable, we recommend PVC vinyl fencing. 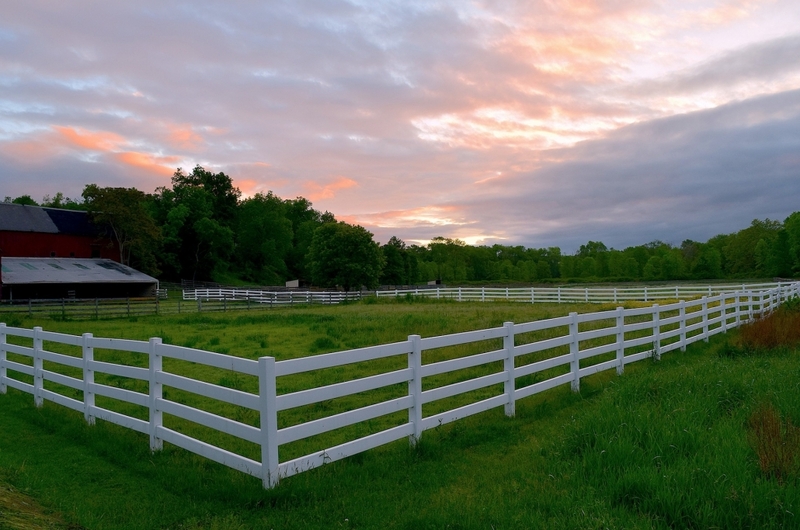 Choose from our broad range of products that are sure to your home’s unique aesthetic, whether it’s a horse fence or the classic picket fence. If you have more questions about fencing or fence installations, contact CAN Supply Wholesale today!